They open the doors of unknown worlds for us, they point their torch towards unexplored corners, in order to make our dives unforgettable: they are dive guides. We&apos;ve asked some of them to tell us why they love what they do (give it a little thought). Imagine waking up every day feeling like you can&apos;t wait to go to work... nice, isn&apos;t it? Becoming a dive guide allows you to leave it all behind: whether it&apos;s a job that doesn&apos;t make you happy, the boring small town life, or the hectic one in the city. Of course, you have to be aware of the things you have to give up to live far away from home, such as not spending Christmas with your family, or Sundays eating at your grandma&apos;s. But those who choose this path are usually determined, not afraid to go against the grain, or to look back. You take pleasure in taking diving enthusiasts to discover the setting, marine life, and unique characteristics of a given dive site, in a specific moment. An example? Showing (discreetly, of course) an anemone where the female clown fish has just laid her eggs, with the male who tenaciously defends the nest from any potential danger... 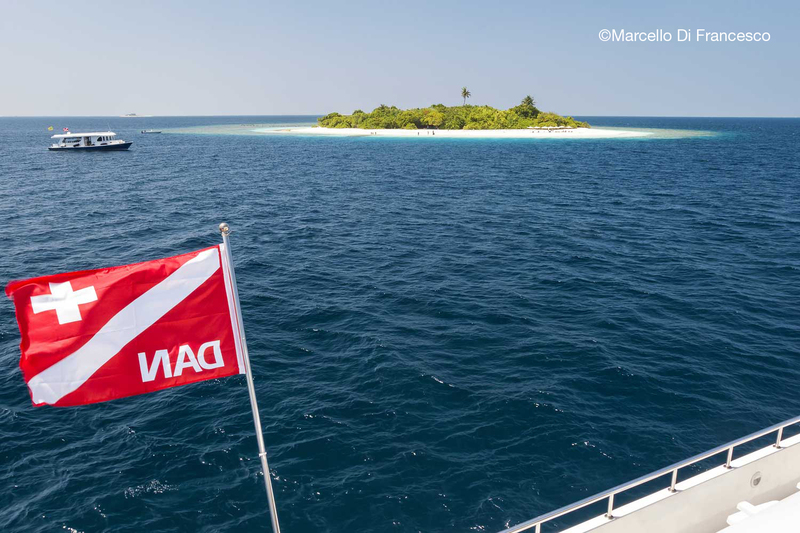 There are a series of variables that can change daily, such as weather and sea conditions, currents, as well as essential information to keep in mind, such as any danger connected to a given dive. Every time, the level of divers who make up the group also changes: experience, certification, preferences. Good dive guides know how to make everyone comfortable. They don&apos;t dive for themselves, but for the group, and they are happy when their group is happy. 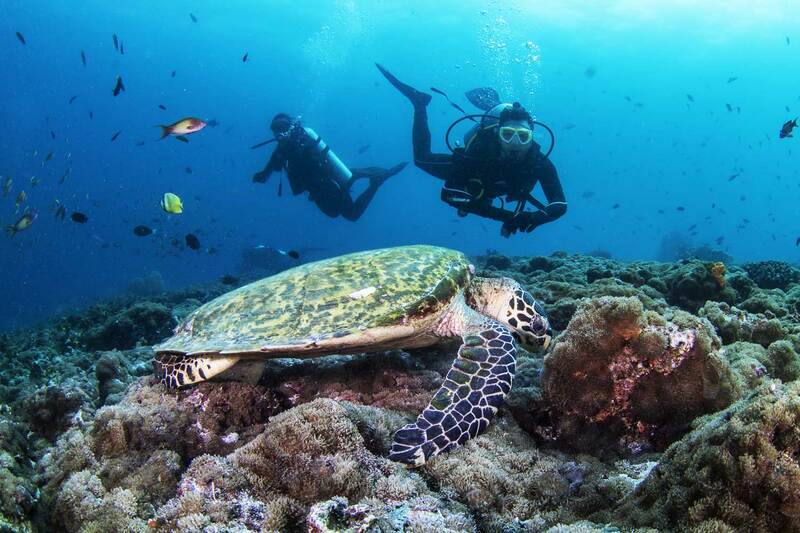 Dive guides can visit heavenly places - from the Australian Great Barrier Reef to a Maldivian safari boat, from a resort in Fiji to a guest house in Raja Ampat - without having to pay to be there. Actually, getting paid (hopefully fairly) for working there. You may have to give up a lot, but for a globetrotter diver nothing is worth more than being even a few inches underwater. As a dive guide you get to rediscover the true value of things. Far away from home and out of your comfort zone, you start to appreciate the essential. You realize that, after all, what you really need is very little. In the Western world, buying becomes an obsession; we are pushed to have the latest high-tech gadget, to go on shopping sprees and race to purchase things. All of this is often meaningless. As a dive guide you rediscover the pleasure of not needing anything, and then when something new comes along, you appreciate it a lot more. And when you are hundreds, or even thousands of kilometers away from home, you&apos;re not oppressed by the toxic "smog cloud" of the latest news minute by minute, the constant updates, and the ever-present gossip stories. You can work and share your experiences with a group of people, who are also dive guides, and who have the same passion and responsibilities. There is often a feeling of empathy and camaraderie among colleagues; you support one another. And, even if at times there can be problems getting along, being professional is always top priority, in order to ensure the safety of the people that you take underwater. The best and most experienced dive guides develop the ability to know in advance when a problem or fear could result in an accident, and to resolve the situation. Did you ever give an extra weight to a diver in need? This is what we mean. Not to mention the pleasure of welcoming the same divers over and over again, because they trust you and feel home with you underwater. Are you convinced yet? 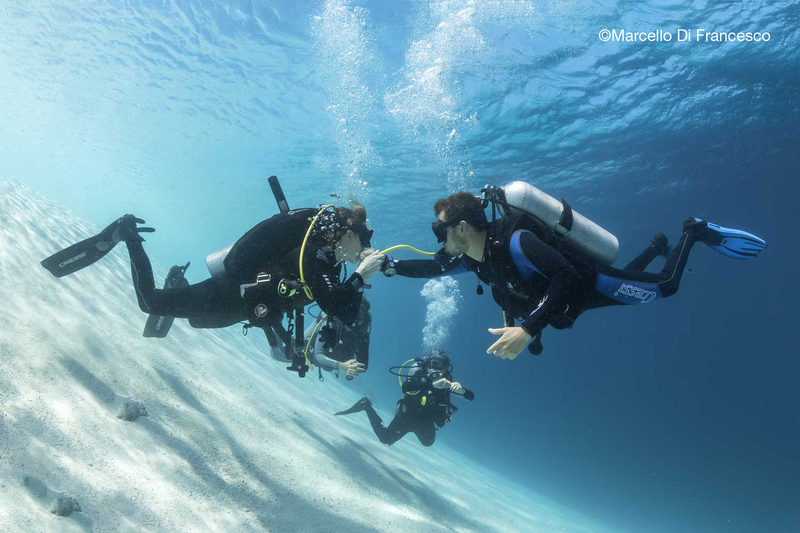 To become a dive guide you need a Divemaster or Instructor certification. Don&apos;t forget that as a dive guide you need a third-party liability insurance, such as the one offered by DAN. Big thanks to Luca Magliacca, Asia Azzali, Herbert Fontana, Monica Ferrario and the whole staff of Duke of York in the Maldives. Cristian is a digital marketing and communications specialist at DAN (Divers Alert Network) Europe, and editor of AlertDiver.eu, the international online diving magazine promoting DAN’s mission. A keen diver, he loves when his inner kid takes command, unleashing his creative spirit, and finds passion playing with words, visual stuff, and parrot fishes.